Experience and knowledge of agile processes and projects is useful to have in the IT industry. A great way to demonstrate this is by obtaining an agile Scrum Master certification, known as the Certified ScrumMaster. Read on to find out more about this valuable agile certification. This agile Scrum Master certification, also called the Certified ScrumMaster (CSM), is a foundation-level certification in the agile scrum subject area. It focuses on team roles, activities, terminology, practices and principles. It’s offered by an organisation known asScrum Alliance. It’s important to note that the CSM certification focuses on the scrum methodology. Scrum is a type of agile methodology, so the certification focuses on scrum only, instead of other agile methodologies such as Kanban or XP. Like all certifications, getting a CSM certification has the main benefit of recognition of competence. It demonstrates to others that you have a certain amount of knowledge on the scrum concept. People can say they have scrum knowledge or experience, but if you have this certification, you’ve met a minimum level of knowledge. It also demonstrates you’re committed to the field. There’s no point getting an agile scrum master certification if you’re not interested in working in the area. Employers and managers will notice this as well. It shows that you’re likely to be more dedicated to this field and your role than someone without the certification. Getting the certification can also help you get a job in the field. It’s kind of a benefit of a benefit – the benefit of being recognised and competent has a benefit of being able to get a job. Employers and recruiters can see you have the certification and understand what it means and what you’re capable of. What Are The Requirements Of The Scrum Master Certification? There are no experience requirements for obtaining a CSM certification. However, it’s not as simple as enrolling for an exam and taking a test. The first step is to become knowledgeable and familiar with Scrum. This could be done by researching and learning the concepts, or working in an agile scrum team. The Scrum Alliance website has agreat list of resourcesfor this. Once you’re familiar with the terminology and process, you’ll need to attend a course. This course can only be run by a Certified Scrum Trainer and is also provided by Scrum Alliance. There are many locations you can attend this course – the Scrum Alliance website has a very useful search tool that shows upcoming courses in your city and who they are taught by. After you’ve completed the course, you are ready to take the test. The test includes 35 multiple-choice questions, and you need to get at least 24 correct to pass (68.6%). Alright, so we’ve covered what the agile scrum master certification is, and what the requirements are. What do you need to do next? If you’re not familiar with the agile process, do some research and learn about the scrum methodology. At the moment, I have some experience in an agile team, but not a lot, so if I was to go for the CSM certification I would start with doing more research. If you have some knowledge or experience in it, you may be ready to take the course. You can use the Scrum Alliance website to find a course near you. 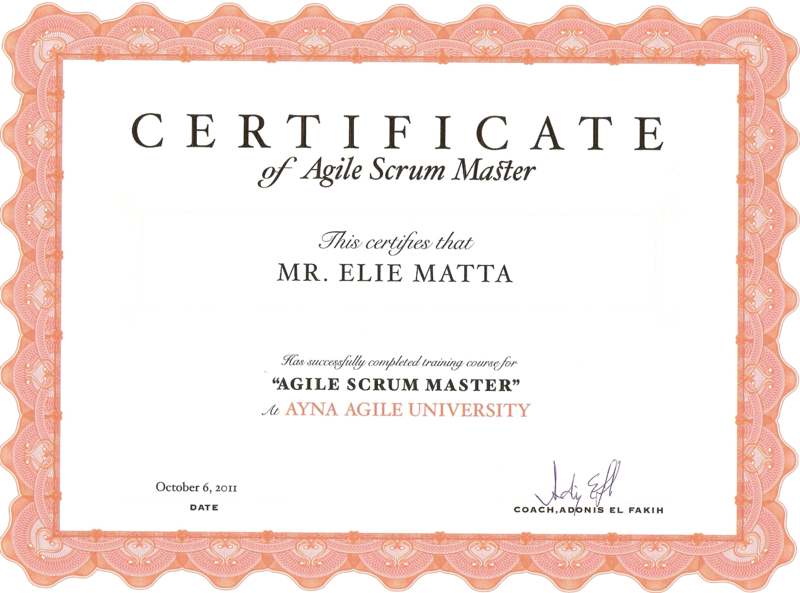 Hopefully this post has covered some of the questions you had on the agile scrum master certification. Stay tuned for more posts in the future on scrum. If you have any other questions, post them in the section below.